Charlie Jayne and Athena. Photo by Sophie Durieux. 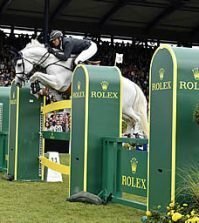 Lexington, KY – FEI Nations Cup Jumping gets back underway tomorrow at CSIO5* Falsterbo. 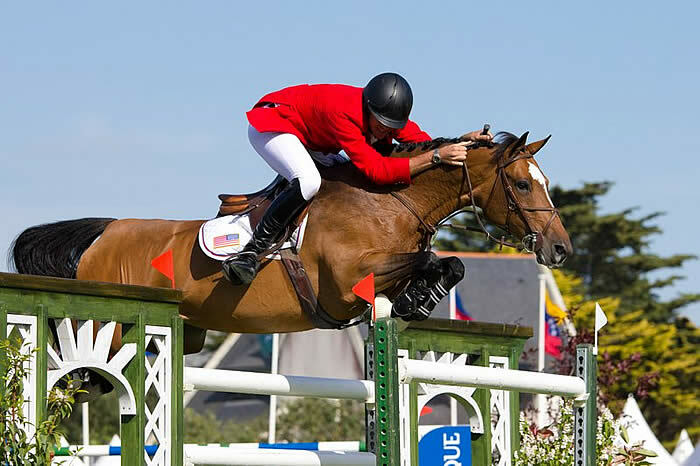 After a month’s hiatus, the world’s top show jumping teams will return to the ring in Sweden. 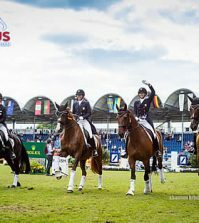 The U.S. has drawn the first position of the nine teams for their Chef d’Equipe George Morris. Charlie Jayne will lead things off for the U.S. with The London Group’s Athena. This pair has jumped in the Nations Cups in La Baule, Rome, and St. Gallen making this their fourth consecutive appearance. Two Young Riders will jump in the second and third positions. 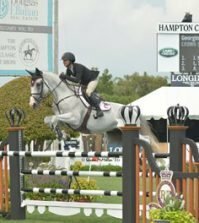 Saer Coulter and Copernicus Stables’ Springtime will follow Jayne into the ring and Lucy Davis will ride Old Oak Farm’s Nemo 119 in the third position. Both Team Gold medalists at the 2010 Adequan FEI North American Junior & Young Rider Championships presented by Gotham North, they contested their first Nations Cup at CSIO4* Buenos Aires last fall. 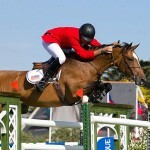 They are now also taking their first step into the top level of CSIO5* jumping together. Christine McCrea will jump in the anchor spot on Romantovich Take One for Candy Tribble. This pair has been brilliant in Europe so far, jumping two clear rounds over a tough track in St. Gallen’s Nations Cup and then jumping to third in the Grand Prix two days later. 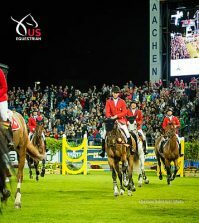 For more information about these riders, please visit: http://www.usefnetwork.com/featured/2011FEINationsCup/ which will also feature footage of the American competitors once the competition is over. Live coverage is available at www.feitv.org.